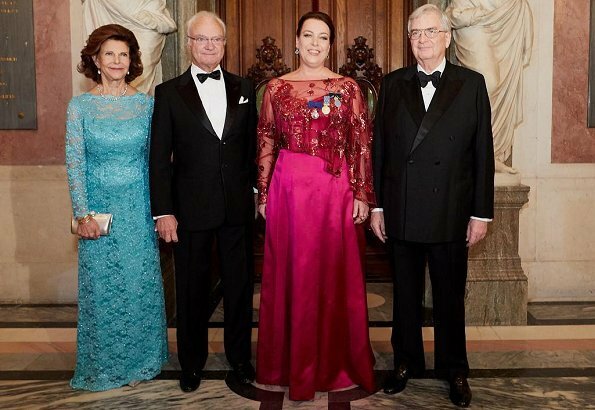 On October 11, 2018, King Carl Gustaf and Queen Silvia of Sweden attended presentation ceremony of The Birgit Nilsson Prize held at Royal Opera in Stockholm. The Birgit Nilsson Prize is the largest prize in the history of classical music. The recipient of the Prize is determined by an international panel of highly regarded professionals in the world of classical music and the Foundation Board. 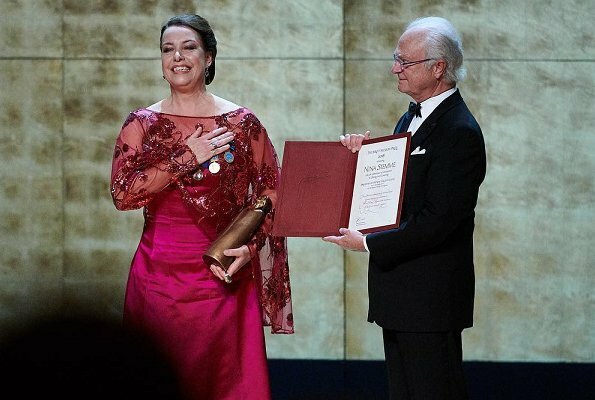 Nina Stemme has been announced as the recipient of the 2018 Birgit Nilsson Prize which was awarded at a special ceremony on October 11 at the Royal Opera House in Stockholm. The Queen looks wonderful, fantastic colour. But also the lady in pink looks wow! Lovely event. The King and Queen look good. Love Silvia's dress very elegant. Silvia's hair is very pretty, so flattering. Silvia looks very nice, her hair is especially flattering. Nina Stemme! A wonderful singer and person. 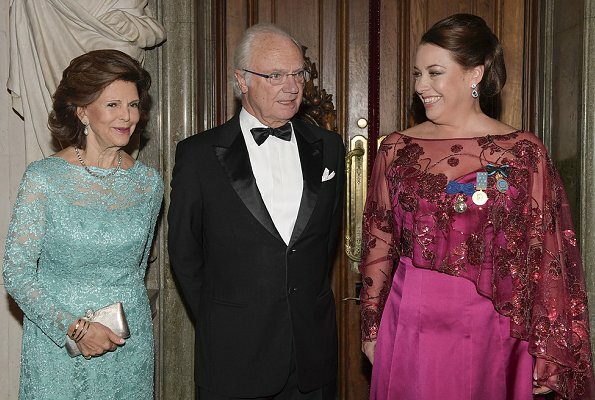 Queen Silvia looks great, especially love her hair style. The queen looks lovely indeed. Great colour and a very good fit. How becoming color to Silvia that gown is! She looks very good. 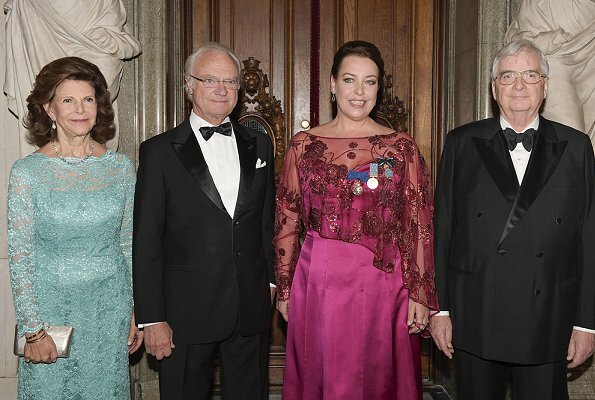 Funny, it looks as if Nina Stemme had borrowed her dress from Queen Silvia! All look good, the King too.